It's a yearly tradition: We write reviews of a few good beach reads ("Music to the Eyes," July 26), and then readers tell us that most people consider mysteries the only beach reading they're interested in. Since we're only here to oblige, here are reviews of three highly recommendable crime novels, all available in paperback for your sandy reading pleasure. 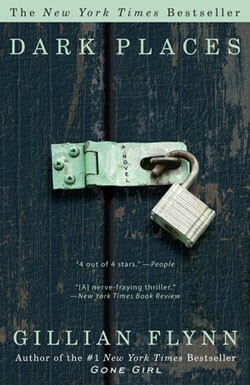 Dark Places by Gillian Flynn (Broadway, 368 pages, $14). Flynn is the crime fiction "find" of the year, with a No. 1 bestseller, Gone Girl, prompting a hefty PR campaign and the re-release of two earlier novels. Her second book, Dark Places, is an ingeniously plotted and psychologically insightful thriller about Libby Day, a frankly unpleasant, grasping woman who, as a 7 year old, witnessed the murder of her mother and two older sisters in their Kansas farmhouse. Her testimony helped convict her 15-year-old brother, Ben, in the slaughter. Two decades later, she is contacted by members of a true crime enthusiasts club who think her brother was innocent. Libby cynically makes money by selling memorabilia from the case, but is soon drawn into the club's "investigation" and starts questioning her own childhood memories of the murders. Flynn is smooth as silk as she switches between present-day jerk Libby and the lead-up to the murders, as seen by members of her family. Libby's quest for the truth of that night is propelled by Flynn's talent for creating riveting tension and developing strong, three-dimensional characters that ring true — which is ironic in a novel where the truth is only gradually and painfully dragged out of hiding. Flynn deserves her newfound reputation as a new creative voice in crime fiction, and she shows promise of being around for a long time. 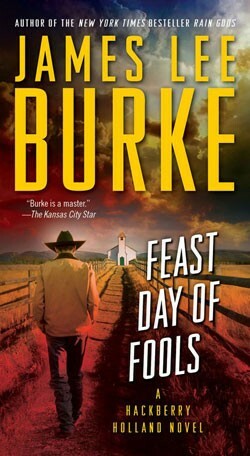 Feast Day of Fools by James Lee Burke (Pocket Books, 528 pages, $9.99). James Lee Burke, a rare winner of two Edgar Awards, is most renowned for his masterful Dave Robicheaux crime novel series set in south Louisiana. But it's two novels from another Burke series, featuring south Texas sheriff Hackberry Holland, that have caused a coterie of critics to jump up and down and proclaim, "Hey! Major author, right here!" The second of those novels, Feast Day of Fools, is a tightly structured sequel to 2009's Rain Gods, both set in a hard-baked small Texas town on the Mexican border. Sheriff Holland, like Burke's Dave Robicheaux, is a contemplative lawman with a violent past and a troubled soul; hard-boiled, efficient and yet appalled by people's capacity for cruelty. In Feast Day of Fools and its predecessor, Burke — or rather, Holland — confronts that cruelty as manifested by the depraved turds who traffic in human beings. In a complex tale rife with desert murders, twisted visionaries, immigrants treated as so much chattel, and a vengeful psycho preacher, Holland and a former smugglers' victim who takes in recent casualties make odd alliances to battle the insanity that's taken over their part of the world. In Burke's vision, the smugglers, murderers, crazed men of God toting guns, victims and those paid to straighten things out are all equally stranded — left at the crossroads of immigration, greed, religious bigotry and politics. The difference among them is that Holland has seen his share of senseless, absurd evil, and has some ideas about dealing with it. Feast Day of Fools is currently available in trade paperback and will be sold in mass-market form beginning Aug. 28. 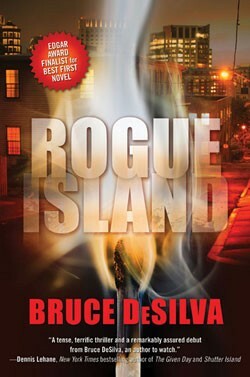 Rogue Island by Bruce DeSilva (Forge Books, 304 pages, $14.99). 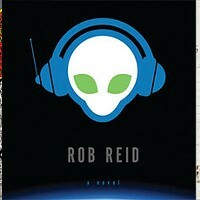 Longtime journalist DeSilva won the 2011 Edgar Award for Best First Novel for Rogue Island. It centers on a seriously stressed journalist, named Liam Mulligan, who realizes that arsonists are destroying his old Providence, R.I., neighborhood — as well as some of his old friends. Mulligan struggles to find anyone interested enough to help, just as his newspaper is fading due to a similar lack of interest from the Providence citizenry. DeSilva's novel is teeming with great newsroom scenes and streetscapes that showcase his talent for capturing everyday life in all its glory and grubbiness. Brutal cops, corrupt politicians, a fast-paced, noirish plot, streetwise dialogue, and a cynical sense of humor — DeSilva combines them into a hard-boiled page-turner that rings with contemporary truths.